In the days of free shipping and overnight delivery, it is easy to forgot someone has the pay to make it all happen. Someone has to pay even more when it goes awry. This is a simple equation in the e-commerce world, because the seller has enough margin to absorb the cost of these events. It is not so easy when the seller is a low margin manufacturer whose goal is to give you the best price possible. This is when it’s important to know who’s paying for that air freight bill. When you receive a quote from a vendor, there typically will be a list of terms. The more common terms are things like “payment type” and “lead time”. Also common — though a bit harder to decipher — are the three letter acronyms. These shipping specific terms are official Incoterms. They will tell you where the items are coming from, who is responsible for setting up a shipping company, the party that pays import taxes, and what happens if things go wrong during transport. The most common terms are Ex-works (EXW) and Free on Board (FOB). These are popular because they put most of the risk onto the buyer and provide a degree of practical convenience. The person writing up the quote typically does not know when or where the products will be shipped. Since both of these variables will affect cost, it is impossible to know exact price ahead of time. A practical analogy that our EE friends might understand is when an online distributor does not tell you shipment costs until the invoice is generated. This is because the shipping information, the courier and the package weight all must be known before assigning a price. It is not necessary to be a legal logistics scholar, but there are a few common cases where you could pay more than you thought. The easiest one to spot is shipment location. It is common for companies to have warehouses in different states or even countries. Though the address on the quote may say “Chicago, IL”, the item may ship from anywhere else in the world. This could turn what you think is a 1 day shipment, into a 6 week boat ride. The next common problem is taxes and duties. Unless the seller is offering Deliver Duty Paid (DDP), the buyer is responsible for that cost. If you don’t have the money ready, customs will be happily charge storage fees while they hold your packages. The easiest way to handle this is to have a freight forwarder take care of it. This could be Fedex, UPS, DHL or an independent contractor. They will make sure the packages get across the border and should be able to provide a quote before shipment. The last thing to consider is lost or damaged shipments. With the amount of products logistics companies move everyday, there will be problems. 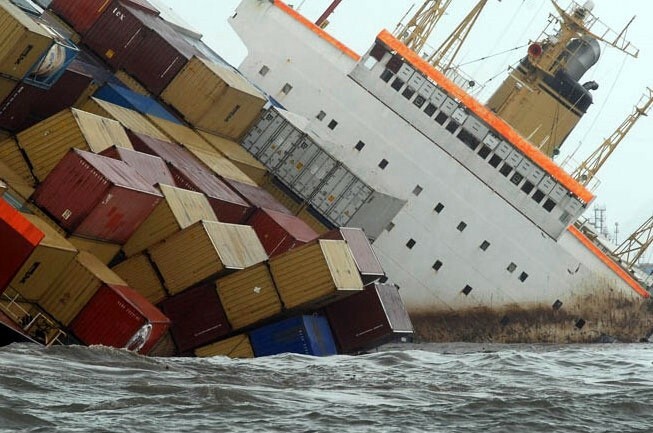 A pallet falls off a fork lift, a box get left in the rain, or a shipping vessel hits rough seas knocking off multiple containers. Without insurance, that money is lost; it also places your product schedule in jeopardy, assuming you’re waiting on a sub-assembly to build the rest of your product. Obviously, insurance isn’t free. This leads to a calculation on whether your cargo is ultimately “worth it”. This will be a value judgment depending on your specific circumstance and risk tolerance. While you might not insure a batch of prototype PCBs, a set of fully assembled circuit boards that cost $100 each likely will warrant some insurance. If you still find yourself confused, ask your vendor for help. Step through each line of the invoice before agreeing to anything. Good communication solves many problems and most companies are happy to help. Discussing all things manufacturing and hardware, prototypical or not.